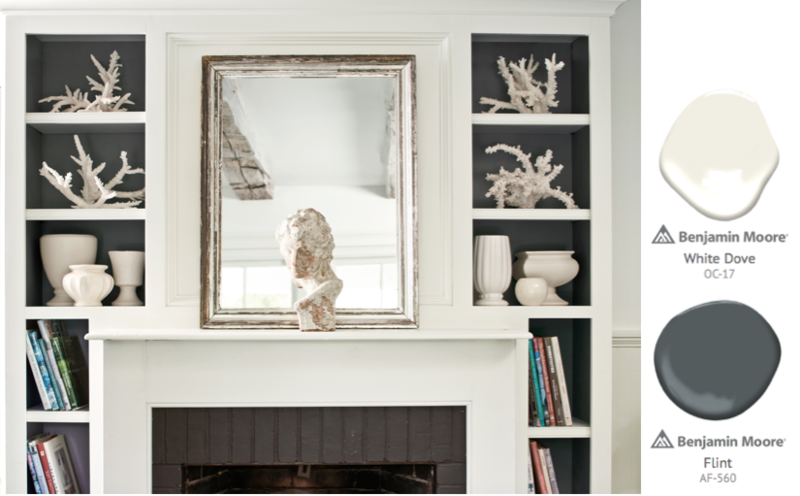 January is a time when many of us start mentally planning all the home decoration projects we'd like to achieve. Over the next few issues, we are going to showcase inspirational and on-trend projects, starting with the heart of the home, the living room. As the main living and entertaining space in a home, the living room is the place to really bring your signature style to life, to create a space where you and your family can relax. Whether you are planning to redecorate using a neutral, a splash of colour or something more dramatic, you'll find tonnes more inspiration on our website and Pinterest page. Our enduring love of off-whites and neutrals is set to continue into 2018, but trending towards much warmer and often richer neutral tones. 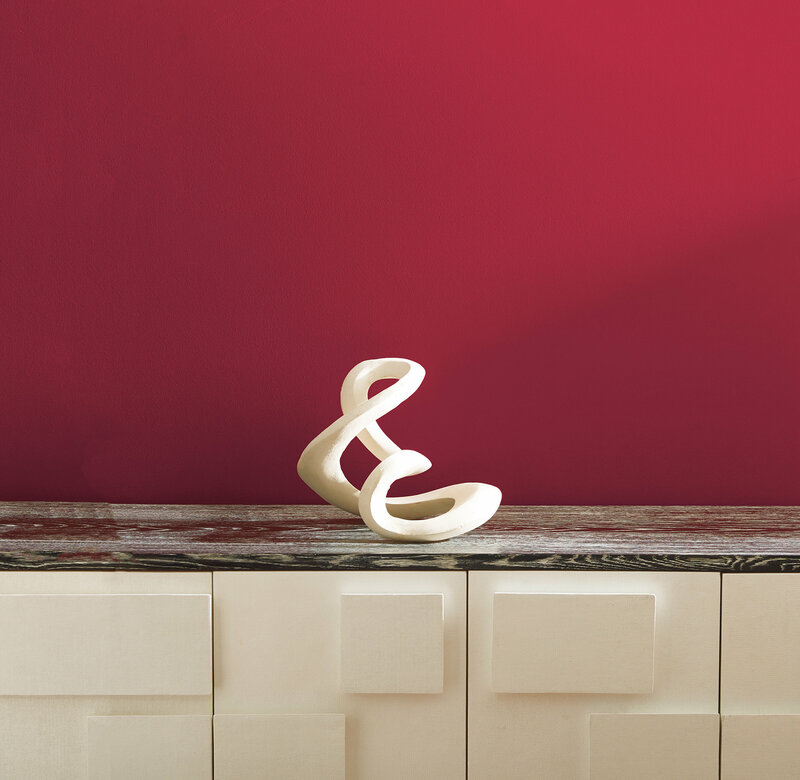 Sparrow AF-720 is used on the walls, woodwork and book shelves, alongside strong pops of rich red and ochre yellow. 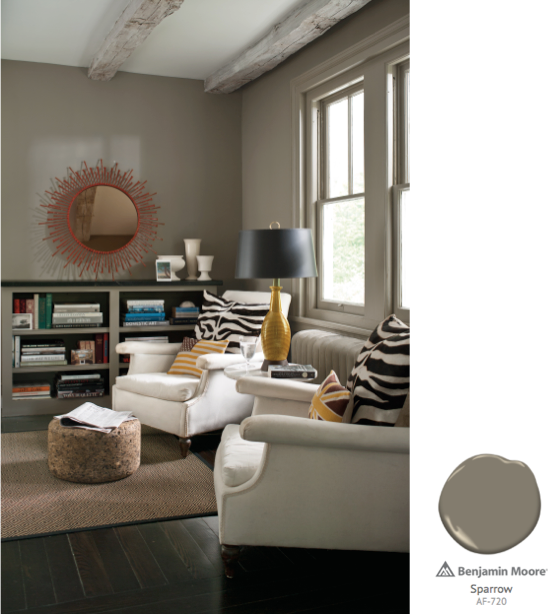 If Sparrow is a little too dark, also consider Silver Fox 2108-50, another popular warm neutral. 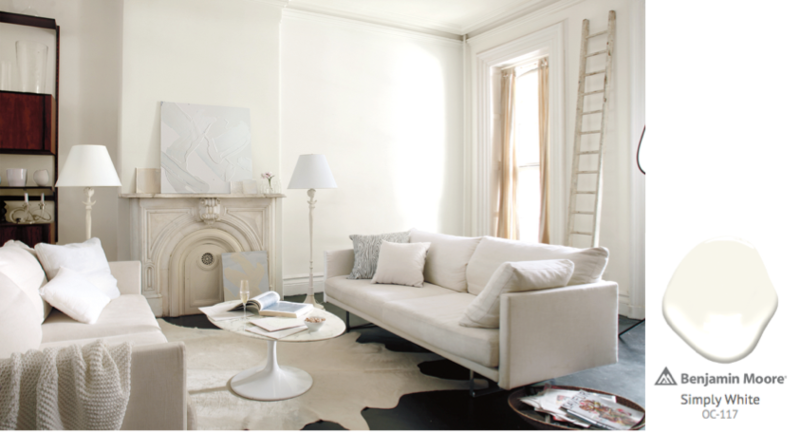 This airy living room uses Simply White OC-117 to create a warm, yet bright atmosphere. Consider White Dove OC-17 for a more muted warm white option. 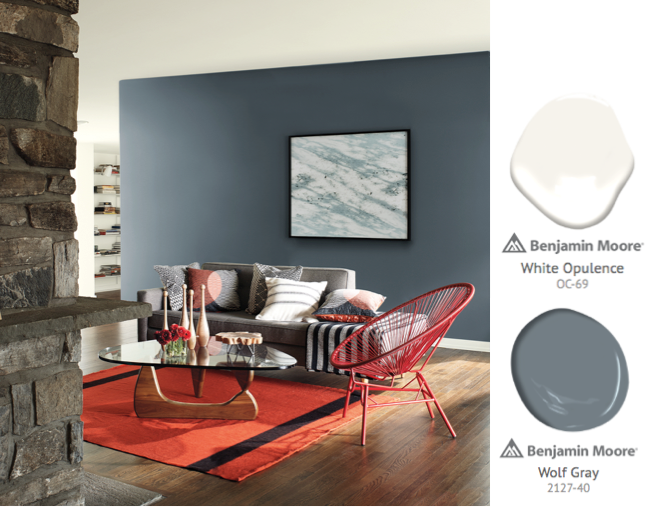 Stormy Monday 2112-50 is a fantastic mid-tone warm grey that has real depth and character and works particularly well with strong pops of colour in accessories. 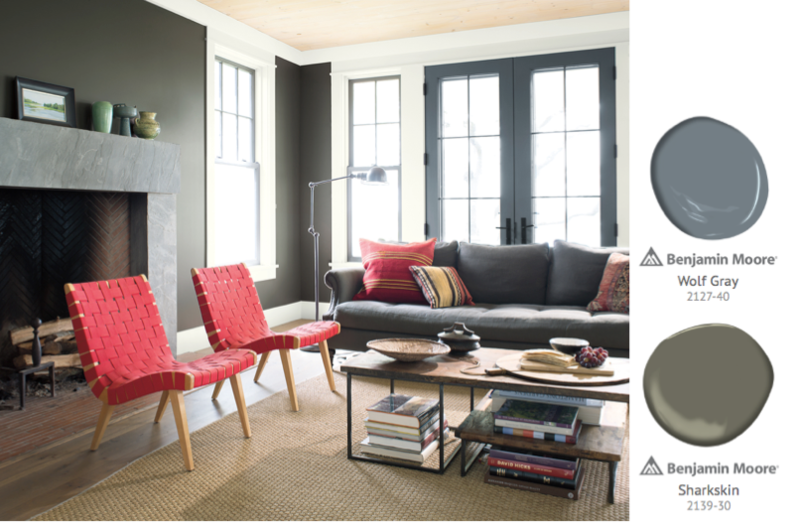 In the same family but lighter is the ever popular Cement Gray 2112-60. Adding splashes of colour alongside a more neutral tone is still one of the best ways to inject colour without it being too over powering. Using colour to accentuate architectural features or create zones in open plan spaces helps to add dimension. This stunning fireplace uses Flint AF-560 within the shelves to create depth alongside White Dove OC-17 for a crisp, architectural look. Using Wolf Gray 2127-40 on this feature wall in a space otherwise decorated in White Opulence OC-69 helps to create a distinct feel for the lounge area. The trends towards using much more saturated shades is set to continue in 2018, with blacks, dark greens and rich reds coming to the fore. 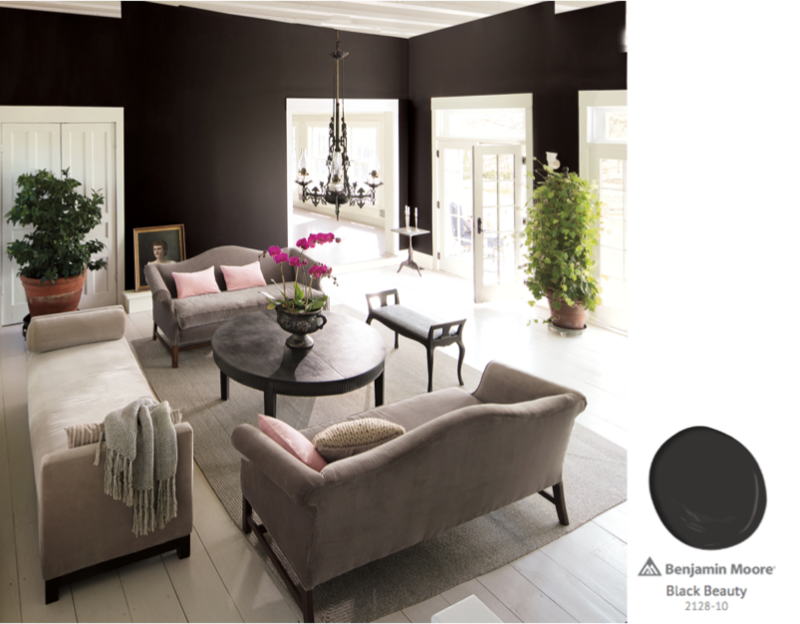 An elegant, understated space is created using the dramatic Black Beauty 2128-10 on the walls, offset by light flooring and warm neutral seating. 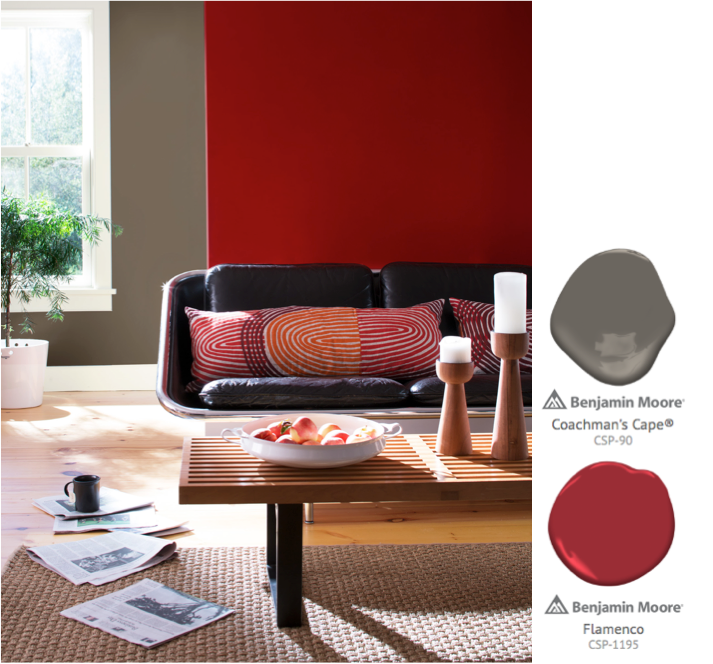 Potent red accents provide a powerful counterpoint to the earthy undertones of Sharkskin 2139-30. Our Aura® Colour Stories® palette features 240 colours which are uniquely formulated for exceptional depth and a more intricate balance of undertones. 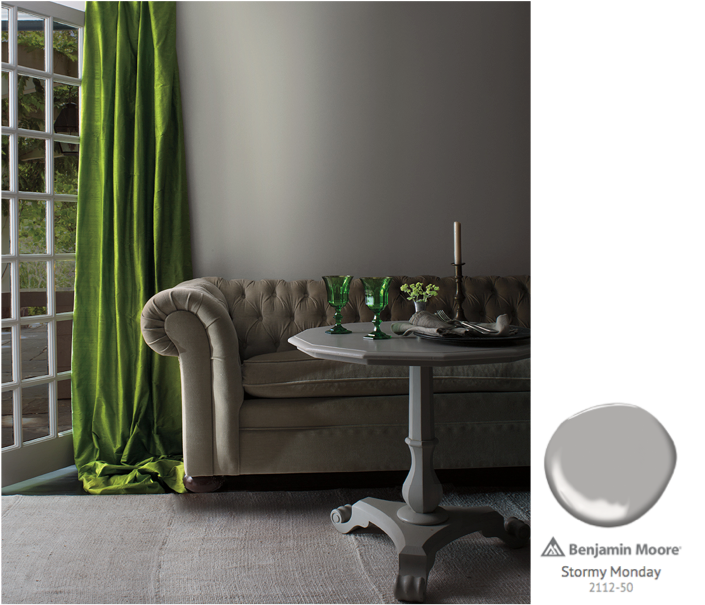 Here the dynamic Flamenco CSP-1195 is tempered with moody Coachman's Cape CSP-90. 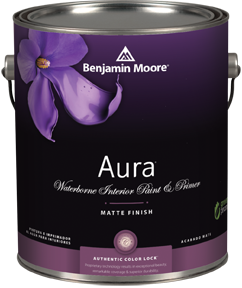 For a stunning depth of colour and a finish that will withstand wear and tear, use Aura®.